People tend to underestimate the potential complications that can arise when you attempt to relocate specialty items such as piano. However, you need to take into consideration that pianos are complex and demanding instruments. And on top of all that, they are heavy. So, in addition to risking damaging your piano, you also risk potential injuries and you do not need that. Instead, why not leave it to Moving Kings Van Lines Florida? With over two decades in the moving business, we have had our share of pianos to relocate. So, you can leave this task in the trusted hands of our piano movers Florida and tend to other matters of your moving process. Enjoy the melodies of a safe relocation with the help of our piano movers Florida. Moving Kings Van Lines Florida is a professional moving company that can help you with this task! We have some of the best moving experts on the Florida market, and all you have to do is to give us a call today! Why hire piano movers Florida? Moving a piano isn’t an easy task. It requires a lot of careful planning, patience, and experience, that is – if you want to move your precious instrument in a safe manner. And why wouldn’t you? Moving Kings Van Lines is a company that you can rely on, and our piano movers are the ones you can put your trust in. Your safety and satisfaction come first to us, and we will do everything that is in our power to make this transition easy and quick for you. We know how stressful moving can be, and when you have to transfer some special items – things tend to get even harder. But, don’t worry, you have us by your side! Moving a piano can be a hassle, but not with our help! Having the right ally by your side is really half a job! That’s right! We are here for you. Whenever and wherever you need us to be. Just give us a call, and our piano movers Florida will start preparing for your relocation project right away! No need to worry about it- our movers are reliable and trustworthy. Your belongings are in the safe hands. Let us take care of all the hard work for you, and enjoy your new beginning! The moving day is coming closer, and you don’t know what to do? Since you already have a piano, this can only mean one thing – you really love it. And now that you’re moving to Florida, you don’t want anything to happen to your piano on the way to your new home. Playing the piano may be all fun, but transferring it is far from it. 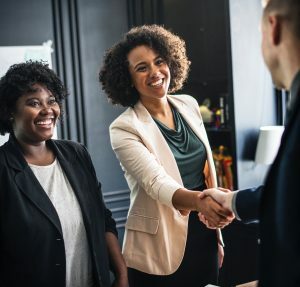 You may be tempted to take care of this task all by yourself (or with some help of your friends), but there are some serious consequences and possible scenarios you should avoid at all costs. Moving a piano requires muscle power and some serious skills. And once you realize it, pressure kicks in. The moving day is coming closer and you still don’t know how to move your piano. Don’t worry! Moving Kings Van Lines is here for you! Don’t let time run out on you, and give us a call as soon as possible! Our detail-oriented and well-trained piano movers Florida will know exactly how to handle your instrument. It is their specialty. They will pack your piano with care, transport it and deliver it safely to your new address. And you can sit back and relax, knowing that everything is going to play out just as planned. What are the benefits of hiring professional piano movers? The list is long, but we will try to be short. And once you combine all these things – you get a perfect piano relocation. You don’t want anything bad to happen to your precious instrument. Don’t worry – you have us by your side. Our piano movers Florida will take care of your instrument as if it was their own. 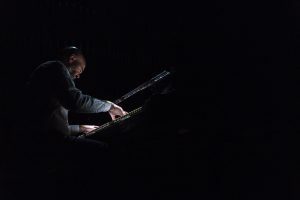 We know how important your piano is to you, and that is the main reason why we will do everything that’s in our power to transport it in a safe manner. Let moving experts help you with this task, and you won’t be sorry! That’s right! In order to move a piano, you will need some professional tools. Moving a piano isn’t easy. These instruments are bulky and heavy – and you will need all the help and resources you can get in order to relocate it to your new address. Moving a piano isn’t simple. It’s a quite complex task to take on. Why? It requires experience. And that is exactly what our piano movers Florida are here to offer you with. After these many years in the moving business, we have taken care of numerous piano relocations. And somewhere in the middle of the road – we have learned all the tricks. So, give our moving specialist a chance, and you won’t be sorry! Trusting someone with your piano’s safety isn’t as easy as it sounds. Your instrument isn’t only expensive, it is close to your heart. That’ why you need someone that you can trust by your side. But where to find such movers? You don’t have to look for them anywhere else – you have already found us! 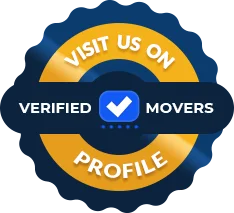 You can trust and rely on our piano movers Florida. Relocations can get quite expensive, but – not with us. We want to satisfy our clients – anyway we can. That’s why created our prices to be what they are – affordable. We want our moving services to be available to everyone, and that means affordable. Give us a call today, and you will get a free moving estimate right away! 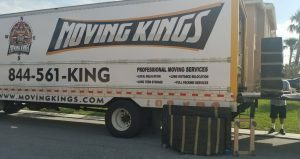 If you need some help with other aspects of your relocation – Moving kings are here for you. We offer many different Florida moving services, so feel free to check them out. Moving all by yourself might sound tempting and cheaper – but letting professionals take care of everything for you is a much safer choice. And you know what they say – it’s better to be safe than sorry!